The resort in Berkshire, has announced details of its newest school workshop which is expected to be available from next year. The workshop, called Lego Time Traveller, will be suitable for Key Stage 1 and 2 pupils and will link with the curriculum for History. Each workshop session is expected to last around 45 minutes. The Lego Time Traveller workshop will allow pupils to explore the ancient civilisation of the Stone Age through to Roman Britain and they will be able to find out how the characteristics and achievements of these eras influenced Modern Britain. The sessions will be able to cater for up to 30 pupils at a time and will including using a Lego Timeline and Lego equipment for the class to get hands-on with. The aim of the workshop is to help pupils to know and understand how Modern Britain has been developed and influenced by other civilisations. School groups will be encouraged to take part in an activity whereby they build and display an invention from an ancient civilisation on the Lego Timeline. Legoland provides many school workshops besides Lego Time Traveller, such as Underwater Creatures and Habitats, which ties in with Science and Geography, as well as Story Starter which links to the English curriculum. Special school rates are available and teachers should visit the website or contact activelearning@legoland.co.uk for information on how to book a trip. 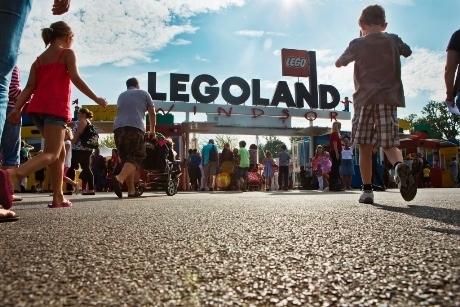 A school ticket includes entry to the Legoland Windsor Resort as well as access to 55 rides and attractions. There is also free coach parking with school bookings and two free teacher planning tickets per booking. For more information, visit www.legoland.co.uk.